High performance requires bold leadership, vigilant integrity and a culture of collaboration for constant improvement. National was founded with these guiding principles in mind. Mr. Mullen serves as the CEO and Chairman of National Holdings Corporation. He also serves as the Executive Chairman of the Board for National's Brokerage, Advisory, Insurance and Tax businesses. 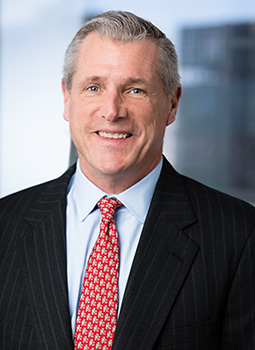 Mr. Mullen began his career in 1986 and has since developed a broad and deep understanding of the financial services industry, with a focus on investing in biotechnology companies. He brings this expertise to his leadership of the National family of companies. Mr. Mullen holds his Series 4, 7, 24, 63, 65, 99 and Life and Health Insurance and Variable Annuity Licenses. 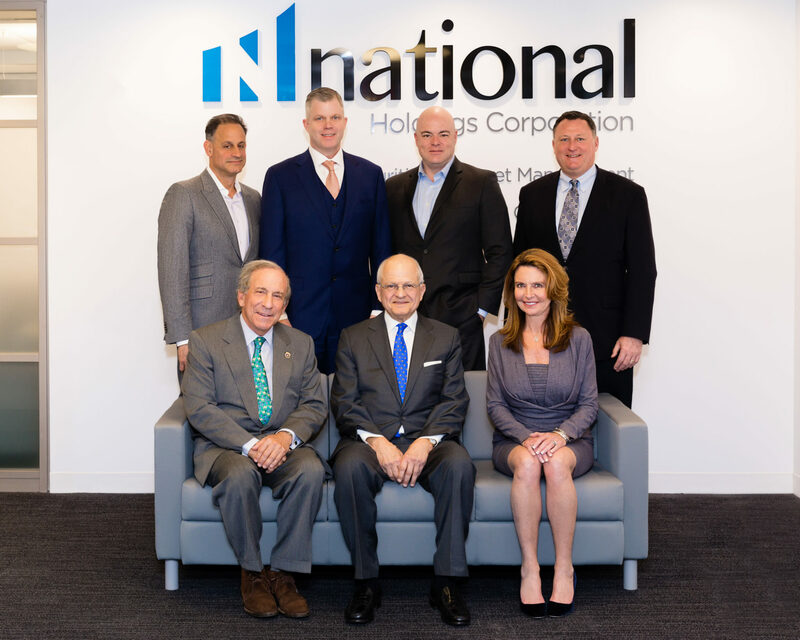 Mr. Worman serves as President and CFO of National Holdings Corporation. He is also a Director on the Boards of National's advisory, insurance and tax businesses. Prior to joining National, Mr. Worman held various senior financial positions at ICAP plc, Deutsche Bank, Morgan Stanley and Merrill Lynch. He has a background in corporate finance, global fixed income, equity trading finance, wealth management, investment management and inter-dealer broker finance. Mr. Worman received his MBA from Fairleigh Dickinson University and his B.B.A from Ramapo College. Mr. Worman holds his Series 99 License. 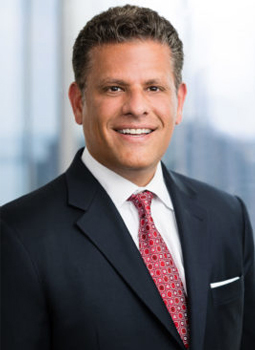 Mr. DeSena serves as Chief Operating Officer of National Holdings Corporation and sits on the Board of Directors of National's insurance business. 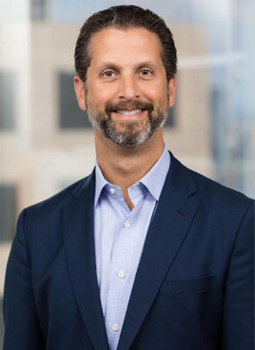 Prior to joining National, Mr. DeSena was the Chief Operating Officer for Group Technology & Operations, the Head of Operational Excellence for the Americas, and Head of Americas Finance Infrastructure at Deutsche Bank. 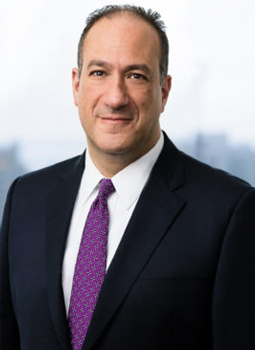 At Merrill Lynch Mr. DeSena served as Head of Global Markets & Investment Banking Financial Planning and Analysis, and Chief Financial Officer of Americas Investment Banking. Mr. DeSena holds his Series 99 License. Mr. Singer also serves on the Legal Committee of National Holdings’ Board. Mr. Singer most recently served as CEO and President of Ramius, at its peak, a $13 billion alternative investment advisory platform. As CEO of Ramius, Mr. Singer directed strategy and execution of the firm's business plan. During his tenure, he created a salesforce which raised more than $5 billion for the firm's investment teams and closed deals to onboard to the platform five talented hedge fund teams including Margate Capital. Mr. Singer was Co-President of Ivy Asset Management, a Fund of Hedge Funds business with over $15 billion in assets. At Ivy, Mr. Singer established the firm’s strategic plan and ran the day-to-day activities. 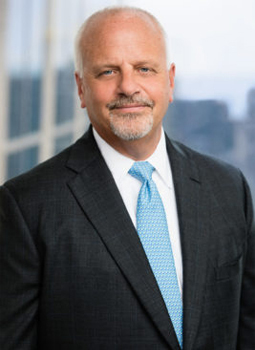 He began his career at Weiss, Peck & Greer, a $17 billion asset management firm, where he spent nine years and served as Senior Managing Director and Executive Committee Member. He oversaw day-to-day operations, new product development, client relationship management, hedge fund sales and risk functions. Mr. Singer received his J.D. from Emory University School of Law and his B.S. from Penn State University. Mr. Knopf has more than 25 years of experience handling securities and regulatory matters. Before joining National, he was a partner at the law firm of Wilson Elser and was chair of the firm’s Securities Industry Practice Group. 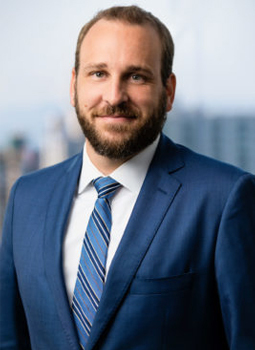 Mr. Knopf is a member of the bar in New York and Connecticut and numerous federal district and appellate courts. Mr. Knopf also served as Chief Risk Officer and General Counsel of Williams Financial Group. Mr. Knopf received his J.D. from the Quinnipiac University School of Law and his B.A. and B.S. from Sacred Heart University. 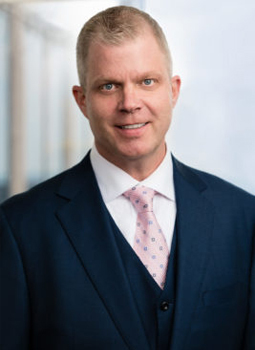 Mr. Knopf has published and lectured extensively on matters involving the securities industry and is an adjunct professor in the Masters of Finance Program at the Jack Welch College of Business at Sacred Heart University, teaching Regulatory Compliance and Ethics. A 20 year veteran of Wall Street, Mr. Rich is the Head of Investment Banking and an Executive Vice President at National since 2009. Mr. Rich worked for First Colonial Securities Group, a 13 office, 150 employee regional firm based out of Florida and New Jersey, first as a Senior Vice President and then as Managing Director in its Corporate Finance Department. Since his tenure at National, the team at National has been responsible for successfully sourcing, structuring and completing capital markets transactions within the healthcare, technology, energy and financial services sectors for emerging growth issuers with total transaction volume in excess of $3 billion. Mr. Rich received his M.B.A. from Fordham University Gabelli School of Business and his B.A. from Tulane University. Mr. Rich holds his Series 4, 7, 24, 53, 63 and 79 licenses. David Levine came to National after having served as the National Sales Manager for a large, independent broker/dealer. Mr. Levine also held a senior position at an independent broker/dealer that was successfully sold to New England Financial, a division of MetLife. Additionally, during his career, Mr. Levine has worked for a multibillion asset management firm and a top five U.S. banking institution. Mr. Levine received his M.B.A. from New York University Stern School of Business and his B.A. from the University of Pennsylvania. Mr. Levine holds his Series 7, 24, 63 and 65 licenses. Mr. Kowalczyk leads all day-to-day activities for National's $2B+ RIA as well as the company's retail product lines. Mr. Kowalczyk has over a decade of experience working in the RIA space. 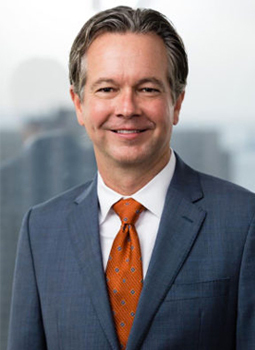 He was previously with several Independent Broker-Dealers and Registered Investment Advisor (RIA) firms in senior management roles, most recently as the Senior Vice President of Advisory Services for a privately held Texas company. Mr. Kowalczyk is a graduate of Boise State University and has an M.B.A. in Financial Management from the City University of Seattle. Mr. Kowalczyk holds his Series 7, 24 and 66 licenses. 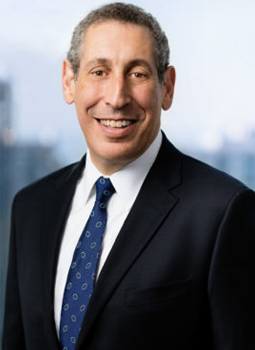 Henry Kaplan is an industry veteran, having served over thirty years in a number of senior level positions as a managing director at Morgan Stanley. He spent the majority of his career working closely with financial advisers, building businesses, driving strategic initiatives, and developing client solutions. Notably, Henry led Morgan Stanley Wealth Management’s strategy in creating an industry-leading consulting (advisory) business resulting in the fastest growing platform among its peers. He later headed Graystone Consulting focusing on the institutional market. Most recently, he was head of distribution for the North America intermediary business at Morgan Stanley Investment Management and served as president of its broker dealer. 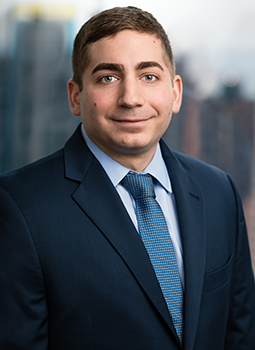 Henry’s broad and deep experience includes managing a branch complex in NYC, providing strategic insight as a financial analyst, managing the firm’s cash management account business, and serving clients as a financial adviser. Henry Kaplan is a Certified Investment Management Analyst and a member of the Investments & Wealth Institute. He served on the Board of Governors of the Money Management Institute and has represented the industry to both the SEC and Federal Reserve. He was an active member of the Association of Professional Investment Consultants. Henry received his B.A. in political science from Binghamton University and M.I.A. in finance and banking from Columbia University’s School of International and Public Affairs. Known as “Billy G”, Mr. Groeneveld has over 25 years of experience in trading supervisory roles. Prior to National, Mr. Groeneveld was co-founder of Program Trading Corporation specializing in algorithmic and execution trading. Mr. Groeneveld received his B.S. from West Virginia University. Mr. Groeneveld holds his Series 7, 24, 27, 55 and 63 licenses. Previously, Mr. Runkle was the Director of Consulting Services with Freeman Mathis & Gary, LLP, and the Regulatory Compliance Director for Coordinated Capital Securities. 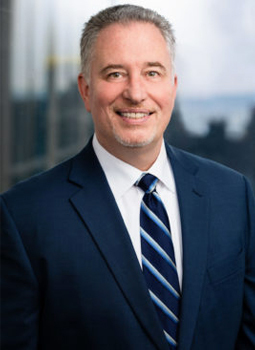 Prior to his consulting work, Mr. Runkle spent over twenty years at Raymond James Financial Services Inc. and was the firm’s longtime Chief Compliance Officer. Mr. Runkle currently serves on the FINRA Membership Committee, and the FINRA District 7 Committee. 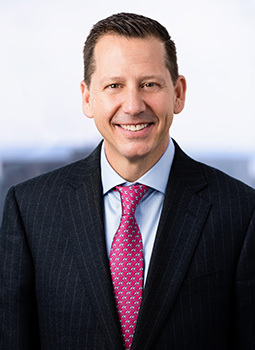 He has also served on the FINRA Regulatory Advisory Committee, the SIFMA Compliance and Regulatory Policy Committee, the FSI Compliance Council, and the SIFMA Compliance and Legal Society’s Regional Firms Committee. Mr. Runkle received his B.S. from the University of South Florida and holds his Series 7, 24, 53, 4, 63, 65, licenses and previously obtained the Florida Life and Health insurance license. 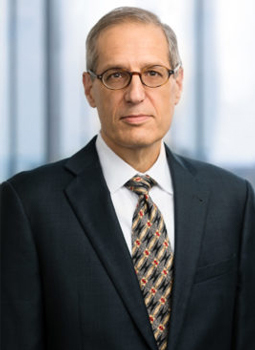 He also completed the Securities Industry Institute at the University of Pennsylvania Wharton School in 2004, and he has been a FINRA arbitrator since 1998. 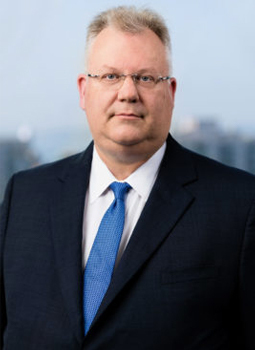 Mr. Arthur Rush Hogan, III, also known as Art, joined National after serving as Director of Research and Chief Market Strategist for B. Riley FBR, Inc., Research Division. Prior to this, he served as the Director of Equity Research since April 2015 and a Chief Market Strategist since March 2014 at Wunderlich Securities Inc., Research Division. Prior to this Mr. Hogan held a variety of senior roles at major investment firms including Lazard Capital Markets, Jefferies LLC, Dean Witter and Morgan Stanley. Mr. Hogan began his career as a Floor Broker at the Boston Stock Exchange. His financial industry career spans 30 years during which he has concentrated on the United States equity markets. Mr. Hogan previously served as a member of the Board of Governors of Boston Stock Exchange, Inc., and a member of the Board of Directors of NASDAQ OMX BX, Inc. Mr. Hogan frequently appears in live interviews on CNBC, FOX Business and Bloomberg TV and is quoted regularly in The Wall Street Journal, The New York Times, Financial Times, Yahoo Finance and many other outlets across the globe. Chad Champion is the Head of Equity Capital Markets and a Managing Director at National Securities Corporation. In this role, Mr. Champion draws upon more than 20 years of experience in equity capital markets structuring and distributing public offerings and private placements in equity and debt securities. Prior to joining National, Mr. Champion served as Head of Syndicate at B. Riley FBR and previously Wunderlich Securities, where he spent 11 years as Co-Head of Capital Markets Syndication. Before Wunderlich, Mr. Champion was Director of Capital Markets Origination and Syndication at Stifel and head of retail distribution for the private client group. Prior to his career in financial services he was an active duty member of the United States Air Force. Mr. Champion is a member of the Bond Club of New York, Syndicate Association of America, Security Traders Association of St. Louis (STASL), and Structured Product Association. He received his B.S.B.A. degree in Finance from Southern Illinois University and MBA from The George Herbert Walker School of Business at Webster University. Natalia Watson serves as the Chief Financial Officer for National's brokerage, advisory and insurance businesses. She has been with the firm since 2005. Ms. Watson holds a Bachelor's Degree in Finance from Florida Atlantic University. 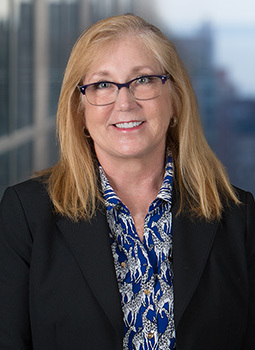 Debbie Walsh serves as the Managing Director of Human Resources and oversees all facets of human resources such as compensation and benefits, performance management, employee relations, talent acquisition and engagement, policy and labor law compliance. She has over 25 years of talent management experience serving various companies in the financial services industry. Ms. Walsh is a SHRM certified professional and holds her 99 license. Over the past 20 years, Dr. Shiv has advised governments, agencies, private and public companies, and financial institutions. 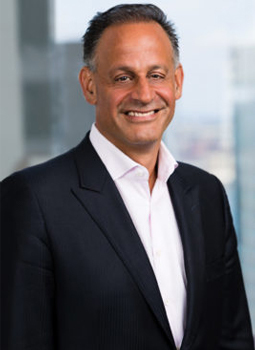 Prior to entering investment banking, Dr. Shiv was Chief Financial Officer of global diversified holding companies, and has served on the boards of several publicly-traded companies, as well as private entities and charities. Dr. Shiv has been published and interviewed by several publications and has been a guest speaker at numerous professional and academic events. Dr. Shiv is an adjunct professor of finance at the IESE Graduate School of Business, an associate editor of the Nanotechnology Law & Business Journal, and a member of the American Finance Association and the Financial Management Association. Dr. Shiv is the recipient of the M&A Deal of the Year Award (cross-border, under $500 mil) for 2014. Dr. Shiv received his B.Sc. and Ph.D. in finance and Commercial Economics from Pacific Western University. Dr. Shiv holds his Series, 7, 24, 63 and 79 licenses. 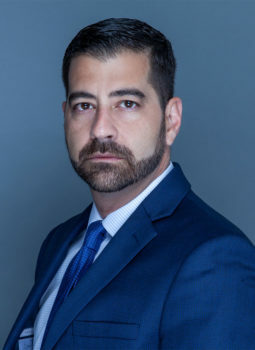 With over 20 years of experience in the financial industry and particularly in independent broker dealers , Mr. Ortega has served in multiple roles including but not limited to Branch Owner, Branch Supervisor, Regional Supervisor, Compliance Auditor, Director of Compliance, Director of Surveillance, Chief Supervisory Officer. Mr. Ortega holds his Series, 7, 24, 63 and Life Insurance and Variable Annuities licenses. 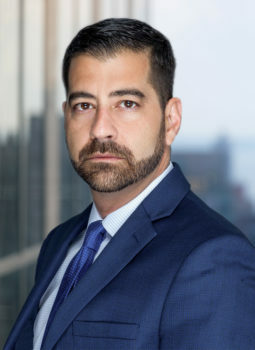 Previous to National, Mr. Koenigsberg was Senior Vice President of Operations and Vice President of Operations & Internal Compliance for Montauk Financial Group. Prior to Montauk Financial Group, Mr. Koenigsberg was SVP of Credit Services at Societe Generale Securities Corporation, VP of Operations with Swiss Bank Corp. and also held various management positions in the industry. Mr. Koenigsberg holds Series 27 & Series 99 licenses. Mr. Chaffee has over twenty-five years of regulatory and industry compliance experience managing, advising, and auditing broker-dealers, investment advisers, funds, banks, and bank holding companies relative to federal, state, and self-regulatory rules and regulations. Prior to joining National, Mr. Chaffee spent ten years as the Director of Compliance Support Services for Renaissance Regulatory Services, Inc., a full-service consulting firm that offers a wide range of regulatory and compliance consulting services to broker-dealers and registered investment advisers. 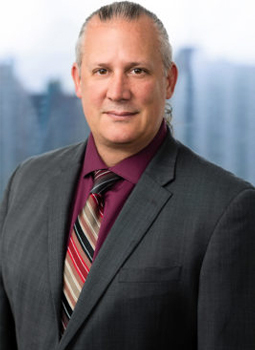 In the industry, Mr. Chaffee has experience as the chief compliance officer of a mid-size broker-dealer, investment adviser, futures broker, and insurance agency; as well as a compliance officer at a regional wirehouse. As a regulator, Mr. Chaffee has experience with the National Association of Securities Dealers (NASD, now FINRA) and the Federal Reserve Bank of Atlanta. 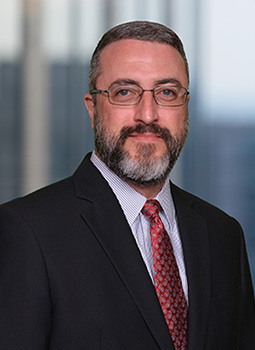 As a consultant, Mr. Chaffee has advised firms on issues related to supervisory and compliance policies, procedures, surveillance, regulatory interaction, licensing, training, and conducted mock regulatory reviews. Mr. Chaffee received a BBA in Finance from Florida Atlantic University. He holds the Chartered Financial Analyst (CFA) designation through the CFA Institute where he previously served as the Deputy Chair of the Disciplinary Review Committee. He has held the Series 3, 4, 7, 24, 53, 63, 65 (exempt), 86, 87, Georgia Life/Health and Variable Life insurance licenses. Ms. Campana is also Director of Insurance for National Securities Corporation. 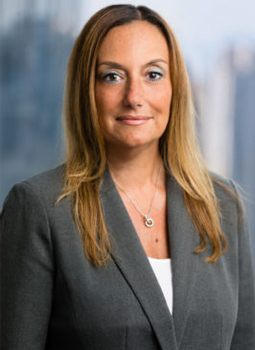 Ms. Campana began her career in Insurance in 1989 as a Business Manager for Mutual of New York and John Hancock Insurance companies respectively. She then moved into the Independent Broker Dealer channel with First Montauk Securities where she managed their Insurance Operations and held the position of Insurance Coordinator. Ms. Campana holds her Series 6 and Life, Heath and Variable Insurance licenses. 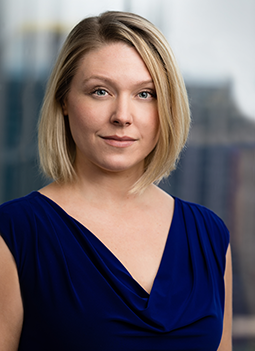 Chelsea Nantz leads the collective brand strategy and execution across National's family of companies and platforms. Her team oversees all corporate communications and marketing efforts for the firm. Prior to joining National, Ms. Nantz served as Director of Marketing and Communications for EMM Wealth, a multi-billion dollar wealth management firm based in Manhattan. She draws on additional previous experience building brands and driving business development initiatives in large professional services firms. 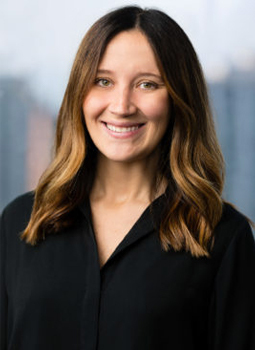 Ms. Nantz has held senior communications positions at private health insurer EmblemHealth as well as The Segal Group, an established management consultancy. Ms. Nantz received her Bachelor’s degree from New York University. 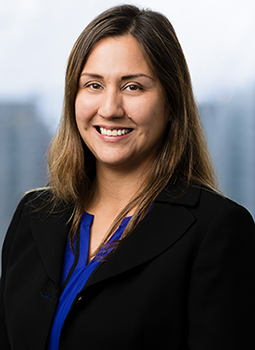 Marguerite is the Syndicate Manager and a Senior Vice President at National Securities Corp. She began her career at National Securities Corp. in 2007 working as an Associate in the Syndicate department. Marguerite received her B.A. from Hunter College in 2009. She holds her Series, 7, 63, 24, 79, 57 and 65 licenses. 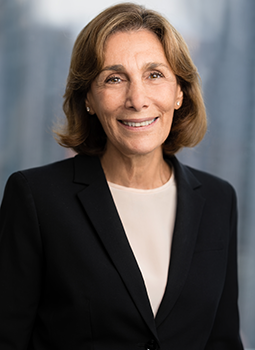 Kathryn Travis' rise to the top of the accounting profession began after she graduated from the College of New Rochelle with a degree in advanced mathematics. After a brief stint at Merrill Lynch, Kathy raised her three children working part-time preparing tax returns. In 1985 Kathy joined a single office tax preparation firm and became a partner nearly immediately. She grew the firm with her partners and took it public in 1994. That firm, Gilman Ciocia, was acquired by National in 2013, and Kathy has been a key leader of National's tax and accounting practice ever since. The Board currently has three standing committees: the Audit Committee, the Compensation Committee and the Nominating and Corporate Governance Committee. The Board has adopted a charter for each of the Audit Committee, Compensation Committee and Nominating and Corporate Governance Committee, which complies with the applicable requirements of current Nasdaq rules. Copies of each charter are available on the Investor Relations page.